One of the most daunting challenges of buying a home is choosing and getting approved for a mortgage loan. There are many types of mortgages out there and if you’re unfamiliar with the differences between them and how they relate to your personal financial situation it might seem impossible to make a choice. Let’s take a look at some of the advantages and disadvantages of one particular type of mortgage – an FHA loan. A Federal Housing Administration (FHA) loan is insured by the government and can be a good choice for homeowners with lower credit scores or those who don’t have much saved for a down payment. A credit score as low as 580 can still get you approved for an FHA loan, and it only requires a down payment of 3.5 percent of the purchase price. FHA loans are available as both fixed-rate and adjustable-rate mortgages and can also be used to refinance your home. It’s easier to use monetary gifts for your down payment. It allows you to have a higher debt-to-income ratio than other conventional lenders might allow. It allows first-time homebuyers who may not have 20 percent saved for a down payment access to a mortgage loan. It allows those who may have had credit problems in the past to own a home. It’s important to understand that the government is not the one lending the money for the home purchase, they are simply guaranteeing the loan should you default. This makes lenders more willing to approve loans for a wider range of people since there is minimal risk for them. Getting an FHA loan seems like a no-brainer, right? While it sounds like the perfect type of loan, there are responsibilities and potential pitfalls you should understand before you decide. Interest rates are typically higher for FHA loans. Buyers are usually required to pay their own closing costs. Some sellers may be less inclined to accept an offer from a buyer who is pre-approved for an FHA loan. FHA loans may end up being more expensive in the long run. 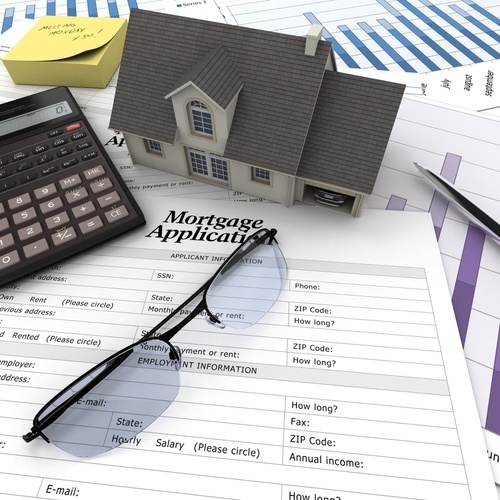 Borrowers must pay two mortgage insurance premiums. One is paid upfront at closing and the other is a percentage of the total loan price that is paid monthly. There is no one-size-fits-all mortgage for homebuyers in today’s market. An FHA loan is one opportunity that is available to homeowners who may be trying to get their financial lives in order but who don’t want to put off home ownership for too long. In the end, it’s important for potential buyers to evaluate all the options available to them and to choose a loan after they’ve thoroughly considered all the pros and cons. A real estate professional can be a powerful ally who can help you better understand your choices and how those choices will affect you down the line.